Unlike ÜLA’s larger Circuit, I don’t love this pack – but it gets the job done at a little over half the weight. 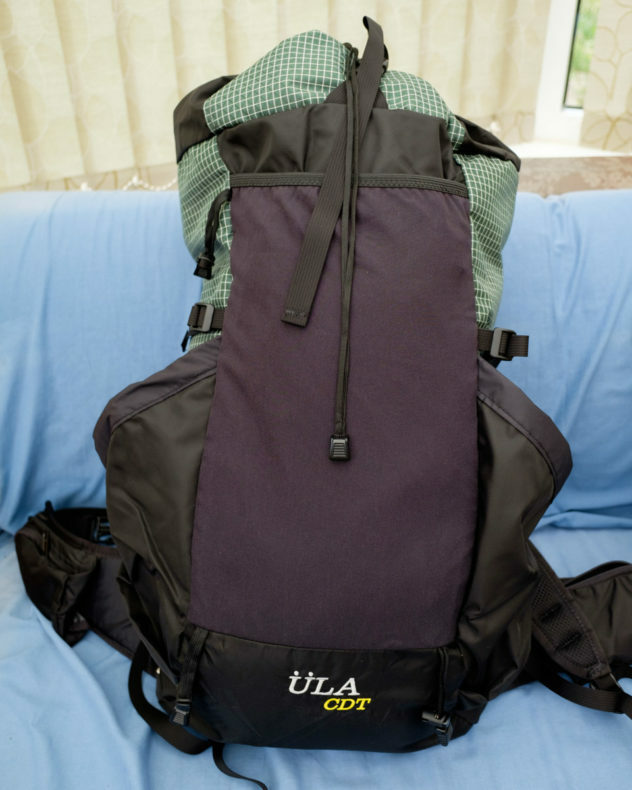 Here’s my review of the ÜLA CDT ultralight pack. I’d been using the larger ÜLA Circuit since 2015 and loved it. The Circuit is roomy and durable while still being lightweight, but as I gradually whittled away at my summer base weight I started looking for an even smaller, lighter rucksack for carrying a minimal load. I’d found the Circuit so comfortable to wear I had no reason to look beyond this brand. The smaller and much lighter CDT leapt out at me. First impressions were very good. It feels like a concentrated version of the Circuit – leaner and more minimal, with fewer adjustment straps, no frame, and less durable materials. For my intended use I thought it would be just right. I used the CDT on my recent 205-mile thru-hike of the Jotunheimstien. For the first time, I succeeded in getting my base weight down to something approaching a genuinely ultralight load – 5.22kg, to be precise (see my kit list on LighterPack here). In part I achieved this by replacing the Circuit with the CDT, a weight saving of almost 500g once I’d removed the bits I didn’t need such as the foam back panel insert and hydration sleeve. I used a rolled-up closed-cell foam mat to provide structure for the pack. I could not have used the CDT if I hadn’t been ruthless in trimming weight. ÜLA recommend a maximum base weight of 5.44kg, and I was only just below that; their maximum recommended total weight is only just over 8kg, which doesn’t leave much room for food and water. I knew I’d be pushing the CDT’s capabilities to their limits. This is not a pack for the average lightweight backpacker who likes to carry a luxury item or two and might head out into the hills with an 8kg base weight. For the most part, the CDT met my expectations, but I discovered some frustrating downsides. I exceeded the recommended max weight at first. I left Oslo with food for seven days; I think I was carrying around 10-11kg in total for the first day or two. 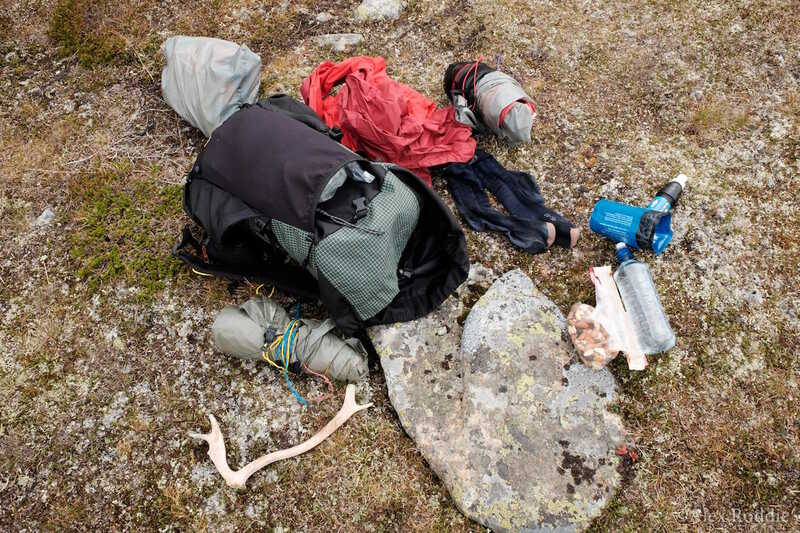 Although the pack remained comfortable throughout long days of hiking, I found the hipbelt more or less useless – it didn’t seem to take much weight from my shoulders, and after the first few miles I ended up loosening the hipbelt and only using it for the storage in the pockets. I used it like this for the rest of the trail (and have since pondered removing the hipbelt entirely, although I don’t think I’ll actually do this). The hipbelt pockets are just too small for me. They’re much smaller than the Circuit’s pockets and I could only just cram an iPhone SE in there (I don’t think a larger phone would fit). My compact camera just about fit in the other one, but it was a squeeze. I had to keep snacks in one of the side pockets. The side pockets are better than those of the Circuit. They’re deeper and hold on to things like water bottles more securely. I thought I would miss load lifters on the shoulder straps, but I didn’t. The pack never felt unwieldy or as if it were pulling back from my shoulders, as I’ve seen other reviews report. I don’t like the drawcord closure. It’s simpler to use than the rolltop closure on my Circuit, but it feels less secure against rain – there’s always a small gap at the top of the pack, and a long cord left dangling about to whip you in the face in high winds. The ice axe loops are not elasticated and won’t fit my ice axe at all (which is 60cm). I think they’re designed to fit 50cm axes. The shoulder water bottle bungees work really well, although they do get a bit frayed after a couple of weeks. I think they’re exactly the same as the ones on my Circuit. The big rear mesh pocket remains as useful as it is on my Circuit, but the fabric is a lot less durable and is already showing some light signs of wear – nothing major, but I don’t think it’ll hold up to years of use and abuse, as the more robust material on the Circuit’s pocket has for me. Also, the mesh is almost opaque and it’s less easy to see what’s inside. Just like ÜLA’s other packs, the Robic nylon material is not waterproof, and seems to soak up a lot of water when wet. That means you have to use a pack cover or liner if rain is expected. Despite my criticism, this is a good pack. It carries surprisingly well given its minimal construction, and I never finished a day on the trail with aching shoulders – even 26 miles carrying 10kg without tightening up the hipbelt! In that respect it exceeded my expectations. However, its scope of use is quite limited and it most certainly won’t be for everyone. It’s too small for winter use, and too small for anyone who isn’t an ultralight backpacker at any time of year. This is a highly specialist bit of kit. But with many packs now being made from waterproof cuben fibre dyneema composite fabric, which is lighter and does not require a rain cover, even ultralighters are starting to move away from packs like the CDT. Its main strength is that Robic nylon is far more durable than cuben. I also found myself frustrated by details in a way I’ve never been with the Circuit. Overall, for me, I think the Circuit is a better all-round choice – it may be about 480g heavier, but it’s more versatile, more durable, has a hipbelt that actually works with usable pockets, and can be used either frameless or with a frame for heavier loads. With the existence of beefier packs like the Circuit and more minimal cuben packs like the MLD Prophet, I think the CDT finds it more difficult to justify its existence.